EDM superstars Avicii, Armin Van Buuren and Kaskade are among the electronic dance music luminaries that have lent their formidable skills to these timeless favorites. 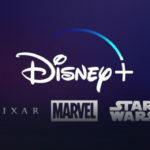 The reworked material ranges from more recent heartwarmers from Monsters University, The Incredibles, and The Muppets to beloved and lasting sounds from the Hawaiiannette album featuring the beloved Mickey Mouse Club darling, Annette Funicello, Toy Story, Sleeping Beauty, Dumbo, as well as music inspired by the original Mickey Mouse cartoons, and the enduring theme from the Disneyland Park’s Main Street Electrical Parade. The blending of the orchestral world of Disney with the synthetic sounds of the electronic world brings out fresh flavors. The recognizable cries and roars of The Lion King‘s “Circle Of Life” mix headily with Mat Zo’s growling basslines and razor-sharp synth stabs. Daft Punk’s abbreviated “Derezzed” is freshened up with vocals courtesy of Negin and extended with Avicii’s twinkling rhythms. Similarly, the previously unreleased Japanese Popstars Remix of Daft Punk’s “Fall” stretches out that track’s inquisitive beats with layers of echo. The newly minted Oscar® winner for Best Original Song “Let It Go,” is transformed to a peak-of-the-night banger with Armin Van Buuren’s tranced out take on Idina Menzel’s sparkling vocals. The makeovers of these universally appealing songs show off their renovations the most when the sounds from over half a century ago are brought to the present time. Stonebridge takes inspiration from the immutable Mickey Mouse cartoons for his new track, “Hey Pluto!” which takes Mickey’s identifiable squeak and Pluto’s barks and uses them as sound effects for the track’s creeping shuffles. Snippets of Sleeping Beauty‘s carousel-like “Once Upon A Dream” are interspersed through Trion’s tweaked out remix and much of Main Street Electrical Parade’s feelgood vibe is maintained for the updated Extended Mix. Kaskade’s crafted approach to Dumbo‘s sentimental “Baby Mine” maintains the original’s emotions bringing those to the present time with softly rounded beats and gently building house rhythms. 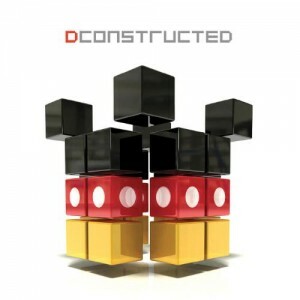 DCONSTRUCTED will be available April 22, 2014 wherever music is sold. Album sampler was revealed yesterday on Instagram: http://instagram.com/p/lYAx0pt_Iq. For more information on Walt Disney Records’ releases, please visit Disney.com/music, become a fan at Facebook.com/disneymusic or follow us at Twitter.com/disneymusic. 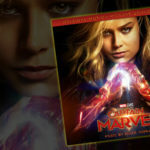 To purchase Disney music; visit the online store at www.disneymusicstore.com.